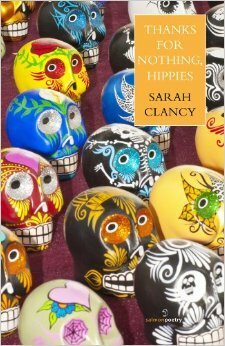 Sarah Clancy is one of the poets I have seen at VERSeFest, and was sufficiently impressed enough to buy her book. From the start, there was a lot I quite liked (though she uses that ‘wall of text’ style some times, which I am not a fan of). I would specifically point out ‘Hippy Get A Job’, which is a really great view into life as someone who works for everything they have. Part way through the book, though, I hit something which, well, didn’t ruin the book for me per se, it DID make it a little harder for me to enjoy. I don’t want to dwell on it, because the book was good over all. It did make want to write a little poem.